Synopsis: Still reeling from her parents’ divorce, April (Daytime Emmy winner, Brittany Allen) is dragged back to the vacation cabin she spent fond summers at as a child accompanied by a group of friends. Her trip down memory lane takes a dramatic and terrifying turn when a fireball descends from the sky and explodes in the nearby woods. Lead by her boyfriend, played by Freddie Stroma (Harry Potter & The Half Blooded Prince, Pitch Perfect), the group venture out toward the crash site and discover the remnants of a ship from another planet along with footprints that suggest its alien occupants are still alive. The college friends soon find themselves caught in the middle of something bigger and more terrifying than anything they could ever imagine. 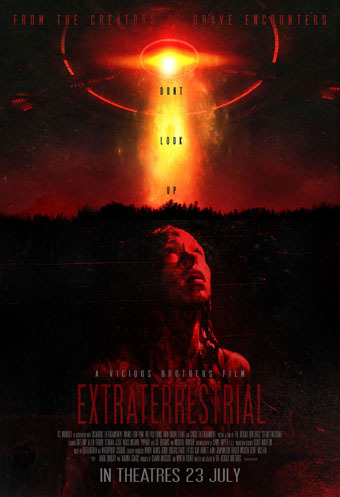 You’ll be glad first and foremost to know that ‘Extraterrestrial’ isn’t a found-footage movie; indeed, if you’ve seen the equally low-budget ‘Alien Abduction’ last year, you’ll know why that is a huge relief. 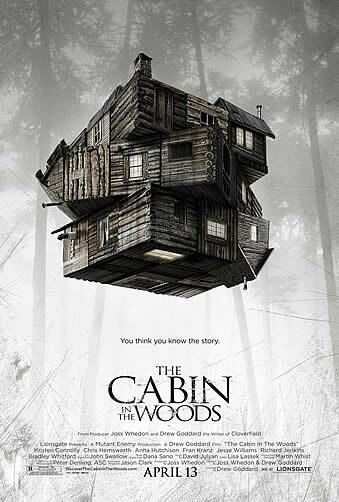 Notwithstanding that one of its characters does carry a camcorder in tow for his trip to the cabin in the woods, the writers-directors who go by the Vicious Brothers’, i.e. Colin Minihan and Stuart Ortiz, who in case you’re wondering aren’t actually siblings, only use footage from his p.o.v. sparingly, opting instead not to lose the big picture and thereby allowing their audience to see the UFOs in full naked glory. Yes, as if you can’t already tell from the title, this concerns some unfortunate encounters of the otherworldly kind; the people ‘lucky’ enough to run into the aliens a quintet of close friends who have accompanied the central couple, April (Brittany Allen) and Kyle (Freddie Stroma), to the former’s country getaway where the latter has a surprise marriage proposal planned. Sadly for Kyle, April rejects him, but the evening only gets worse when they spot a fiery flying saucer crashing into the nearby woods, and end up killing its injured inhabitant. Suffice to say that its relatives aren’t quite so pleased, and the group soon find themselves hunted by a hostile species who has apparently been abducting humans in these parts of the woods for experimentation. Every single trick in the UFO playbook is pretty much assembled here. There is a local quack (Michael Ironside) who just so happens to be the only authoritative figure about what is going on. 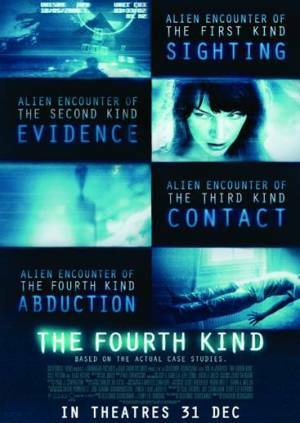 There are the cattle mutilations which the small-town sheriff (Gil Bellows) suspects is more than just a string of coincidences. And of course, there are the aliens themselves, who happen to be tall thin beings with smooth gray skin and huge black eyes – and oh, did we mention that they are into rectal probes too? The fact that this isn’t some self-aware parody means that all these elements unfold with unyielding self-seriousness, but truth be told, neither do the Vicious-es seem to aspire for their sophomore feature to be anything more than a well-made shlocker. 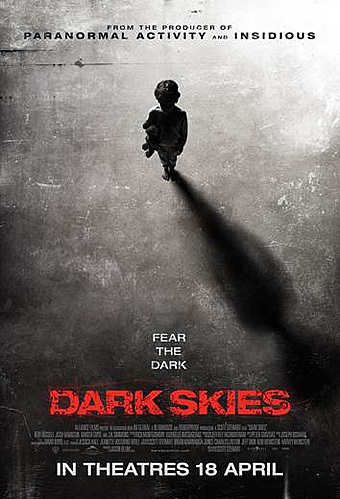 And in that regard, there is no denying that they have made a slick, pacey slasher thriller but with vengeful aliens. One of the early scenes where the first of them is taken up into their spaceship is surprisingly suspenseful, in particular when the rainstorm they were caught in just a minute ago stops abruptly over a circular patch of grass (hint: look up). Another with April and Kyle evading capture in the cabin by them aliens is gripping to say the least, but not quite so jaw-dropping as the final act that sees April stow away on board the alien ship in order to rescue Kyle and whatever is left of the rest of her friends. It’s a suitably thrilling finale to say the least, more audacious and inventive than you would expect of a low-budget B-movie of this nature. Really, should you be expecting more from ‘Extraterrestrial’? 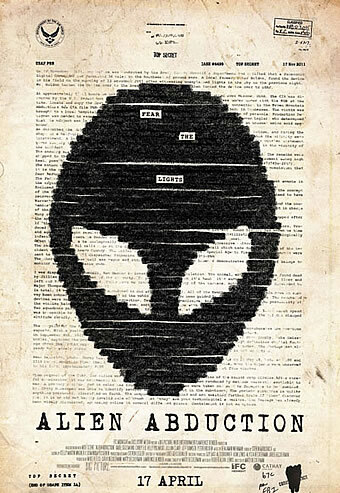 Sure, many of its components feel familiar, but there is nothing wrong in a movie that intends to be no more than a well-done retread of the alien abduction genre. The cast do unremarkable work with their thinly written roles – except Ironside, whose appearance on its own will surely delight genre aficionados – but let’s face it, no one expects much more of them than to convince us of their fear if we were there in their predicament in the first place. There are plenty of sci-fi and horror clichés all right, but if you’re looking for the sort of guilty pleasure that you would find in a midnight movie on Saturday night cable, you’ll find this quite the enjoyable blend of thrills, gore and shocks.